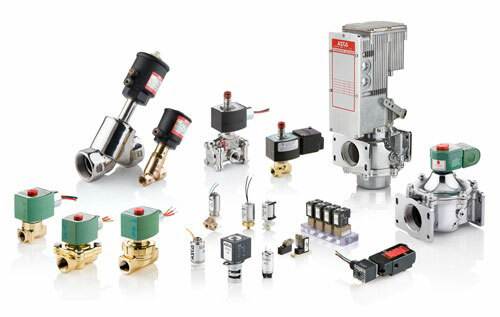 With over 50,000 ASCO solenoid valves available, T&D really can offer a solution for almost any fluid control application in commercial, industrial and hazardous area locations. ASCO are part of the Emerson Industrial Automation group and their solenoid valves are synonymous with quality and reliability. 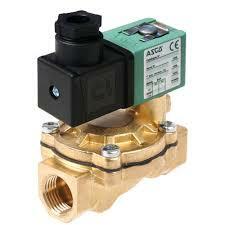 You can always rely on an ASCO solenoid valve to do the job. This is why ASCO is the most widely specified name in the fluid automation industry. A solenoid valve is used for the fluid control of air, water, oil or gas and usually consists of an operator and valve body. The solenoid operator includes the coil, core, core tube, shading coil and spring. The valve body is made up of orifices where a disc, piston or diaphragm is positioned. When an electrical current passes through the solenoid, a magnetic field is created which pulls the core into the open or closed position. 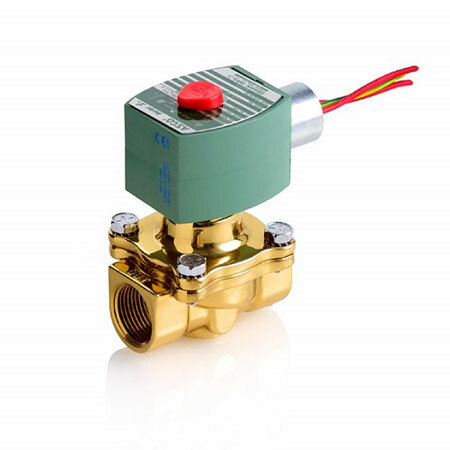 Types of solenoid valves available from ASCO include direct operated, pilot operated and pressure operated. The valves can be configured in a 2 way, 3 way, 4 way or 5 way arrangement. Pilot operated solenoid valves use the inlet pressure (or full line pressure) to operate. Pilot valves have two orifices, a pilot orifice and a bleed orifice. 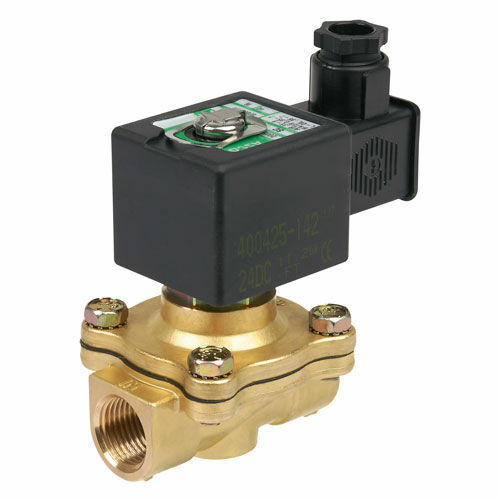 When this type of solenoid valve is energised, the pilot orifice is opened to release pressure from the top of the diaphragm to the outlet side of the valve. this cause a difference in pressure which opens the main orifice. In contrast, when the solenoid valve is de-energised, the pilot orifice is closed which means the full line pressure is applied to the top of the diaphragm through the bleed orifice forcing the valve shut. 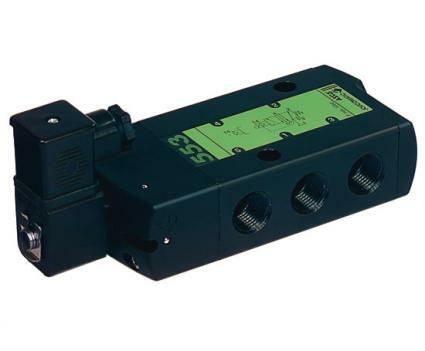 Pilot operated solenoid valves are usually available in 2 way 2/2 NC/NO and and 3 way 3/2 NC/NO. 4 way and 5 way solenoid valves are normally used to operate actuators. 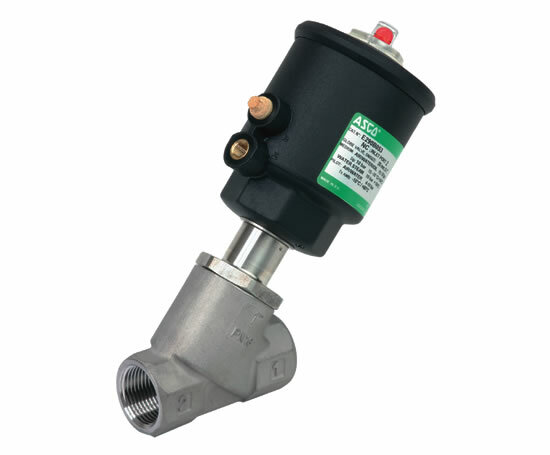 (pressure operated valves, cylinders) These solenoid valves have 4 or 5 pipe connections and can be either 2 position (open/closed) or 3 position (open/closed/exhaust). A pressure operated solenoid valve is used when the control of high pressure fluid is required at low pilot pressures. pressure operated valves are available in a piston valve construction or a diaphragm valve construction. These types of solenoid valves are usually available in 2 way 2/2 NC/NO and 3 way 3/2 NC/NO/U. 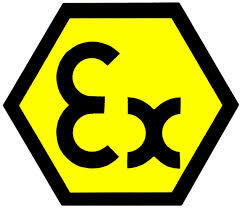 Due to the industrial applications where solenoid valves are used, it is common that a valve needs to be ATEX certified for use in hazardous areas and explosive atmospheres. To comply with the various international hazardous area directives, ASCO offer a range of explosion protection methods including flameproof enclosures, encapsulation, intrinsically safe and increased safety valves. ASCO invest vast amounts of time and money in research & development - contact T&D for competitive prices and delivery on the full range of ASCO solenoid valves for both industrial and hazardous areas.